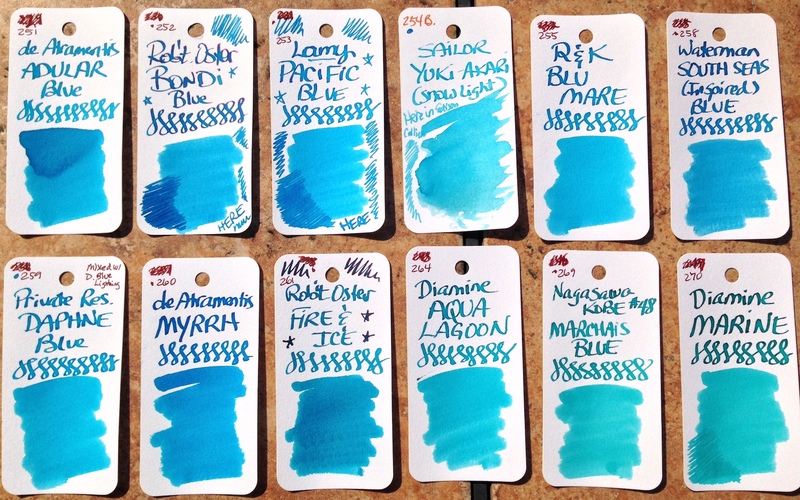 there was a smidgen of interest is a separate thread for turquoise ink. Amberlea suggested the person who seconded the motion might just do it, but the conversation went off in another direction, and it did not happen. So I did it. 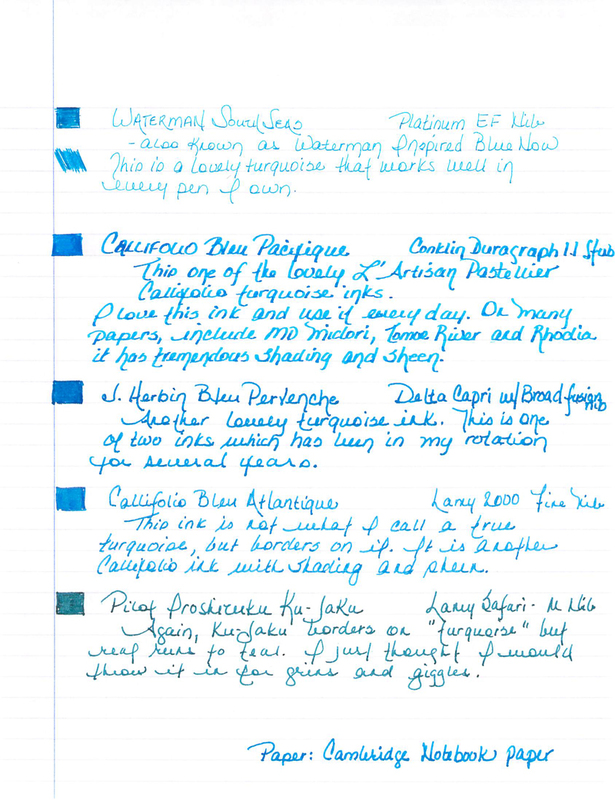 I have no new review to add to this opening post but the link above will take you to the twenty or so turquoise inks I scanned and put in the blue thread. 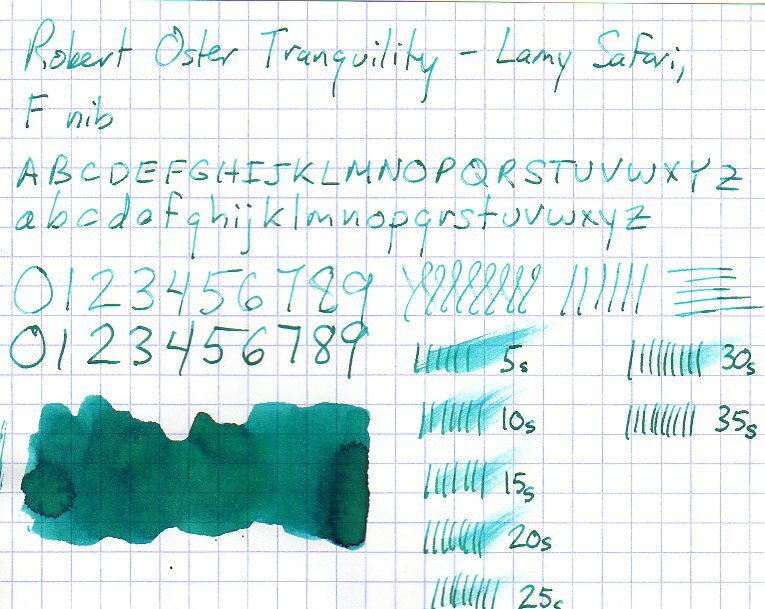 Also on that page you will find a picture of Lamy Turquoise that looks more accurate on my screen than does my own scan. 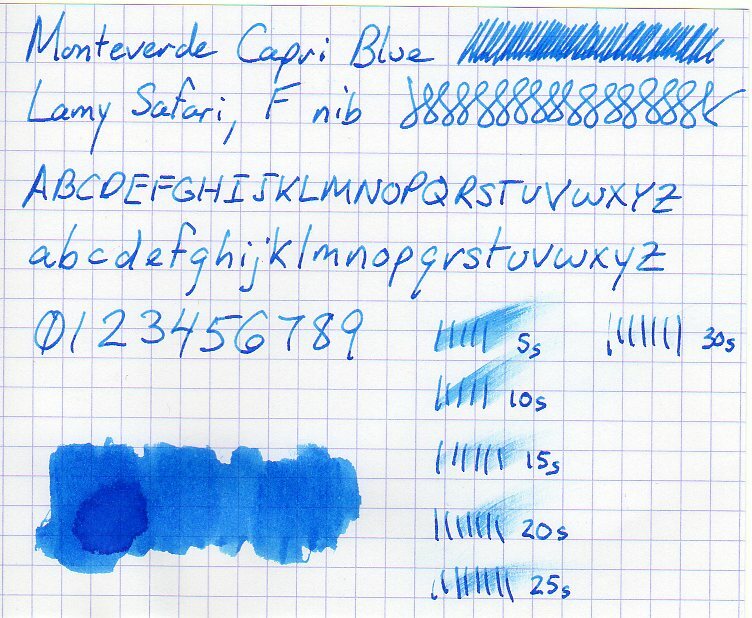 "Sheaffer Turquoise" is actually Sheaffer Peacock Blue. Edited by ErrantSmudge, 08 June 2018 - 02:34. Edited by ErrantSmudge, 08 June 2018 - 02:38. 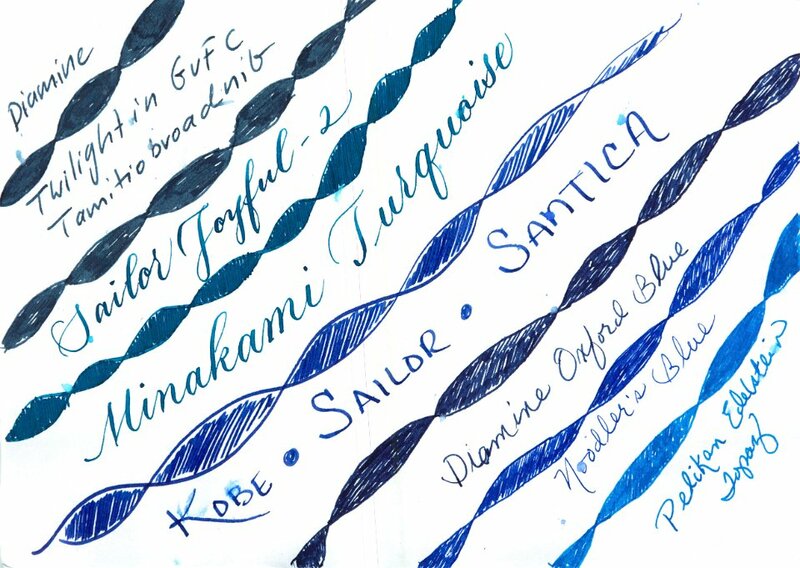 Sailor Yuki-Akari. 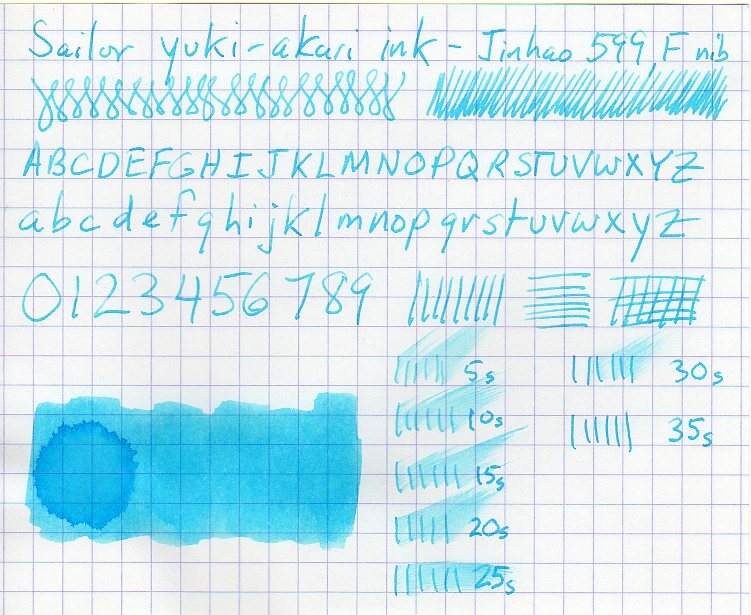 I'm not a fan of this ink; the shade is too pale and it is a dry ink. 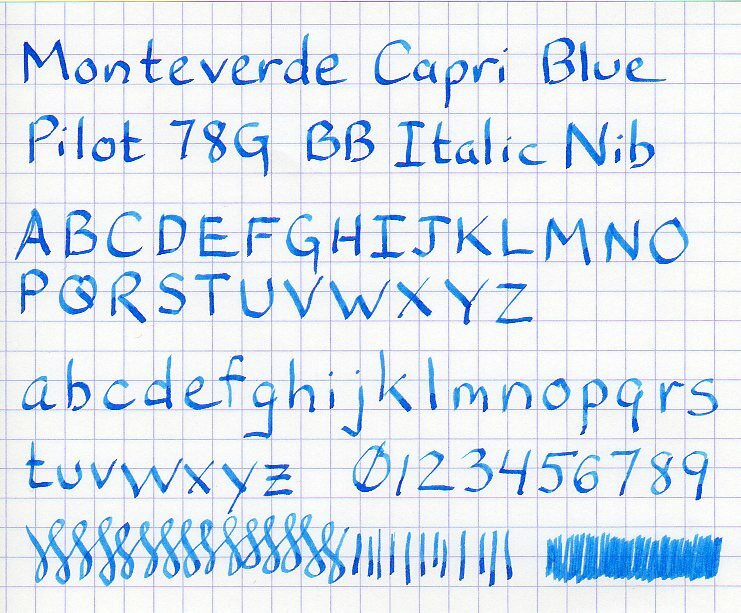 Thanks for all the support for this new thread! 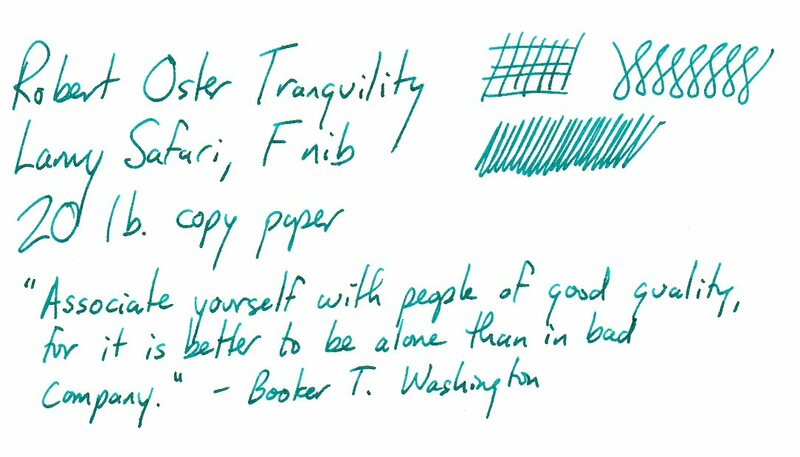 I am seeing some scans that differ from what I see with the same ink, but that was true of my own scans as well. 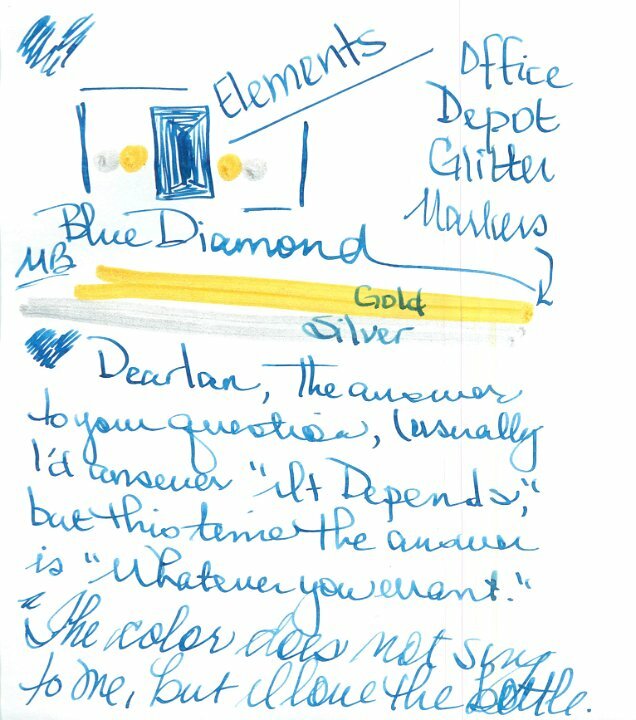 Maybe this is just a tough color for scanners. 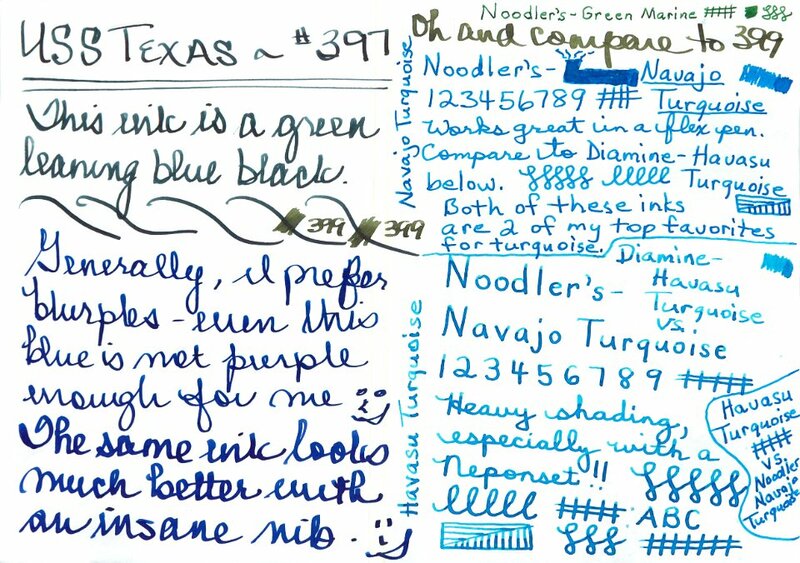 It was interesting to see a scan from someone else of Noodler's Turquoise, which looks close to blue-black -- exactly my experience. 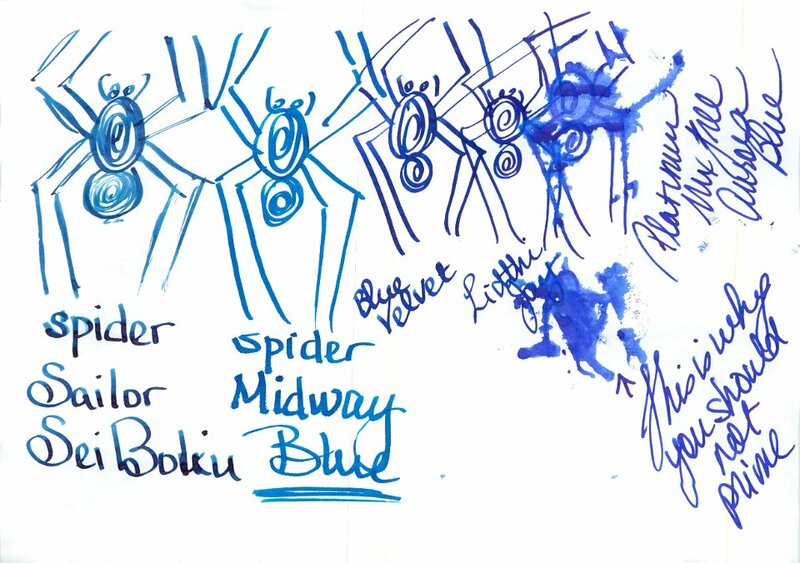 Here is a better look. 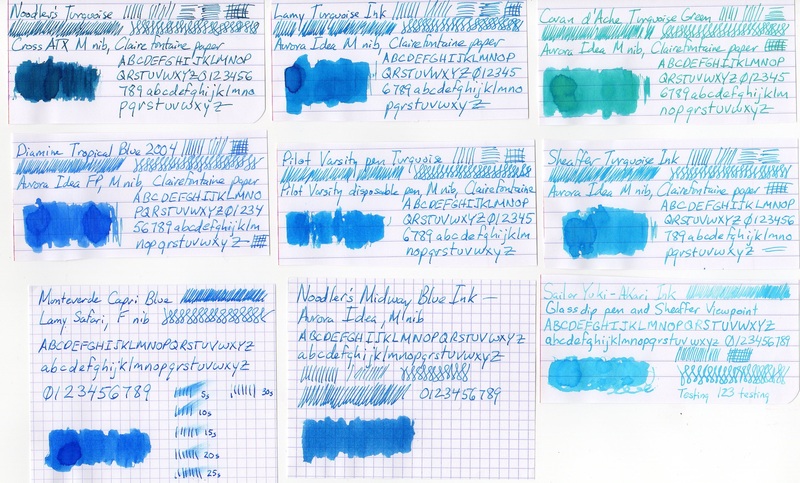 Bondi, Pacific, South Seas, and Fire and Ice are the ones I use most, and keep loaded in pens. Edited by HalloweenHJB, 17 June 2018 - 14:36. Wait, you are missing some, where is Krisha Peacock? Edited by HalloweenHJB, 18 June 2018 - 19:21. Did you realize that Peacock ghosts through? And I'd enjoy small samples, thank you.